Celebs, awards & star prizes. Leasing.com London Motor & Tech Show announces Live Stage line up. Visitors to this year’s Leasing.com London Motor and Tech Show will see a packed agenda on-stage, with live action all weekend that’s bound to make them come back for more. 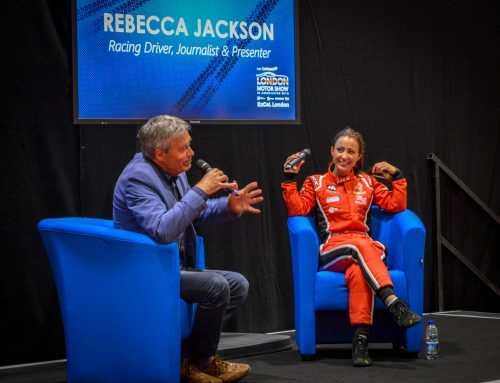 As well as celebrity guests including Show President Tiff Needell, Wheeler Dealer Mike Brewer, columnist and writer Mike Rutherford and Car SOS presenter Fuzz Townshend, the Live Stage will see some fantastic special guests. There will be a number of interactive elements throughout the weekend, too, including the Leasing.Com Play Your Cars Right game and Name That Part, a true test of motoring trivia. The stage will also play host to the inaugural Britain’s Biggest Car Nerd contest. On Saturday 18th May, the London Motor Show Car of the Year will be announced, too, chosen by a specialist panel of automotive journalists and debated live on stage. A full list of Live Stage action is below.